Eating healthy and traveling can be a challenge, but in San Diego, it’s almost effortless. 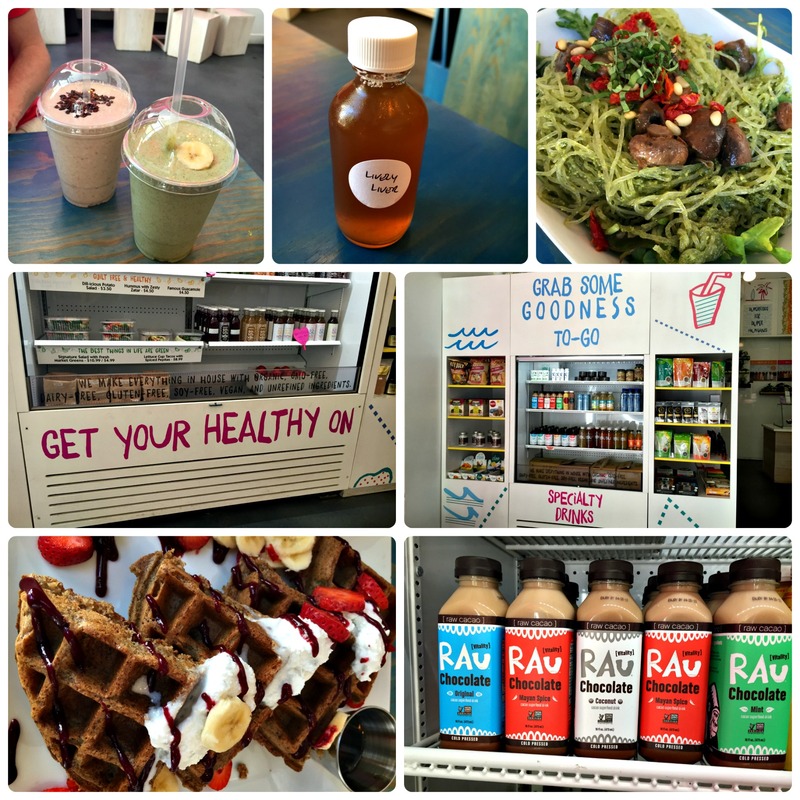 With juice and smoothie bars popping up on every corner and a commitment to serving sustainable, local, fresh and nourishing cuisine, San Diego is a healthy foodie’s dream. 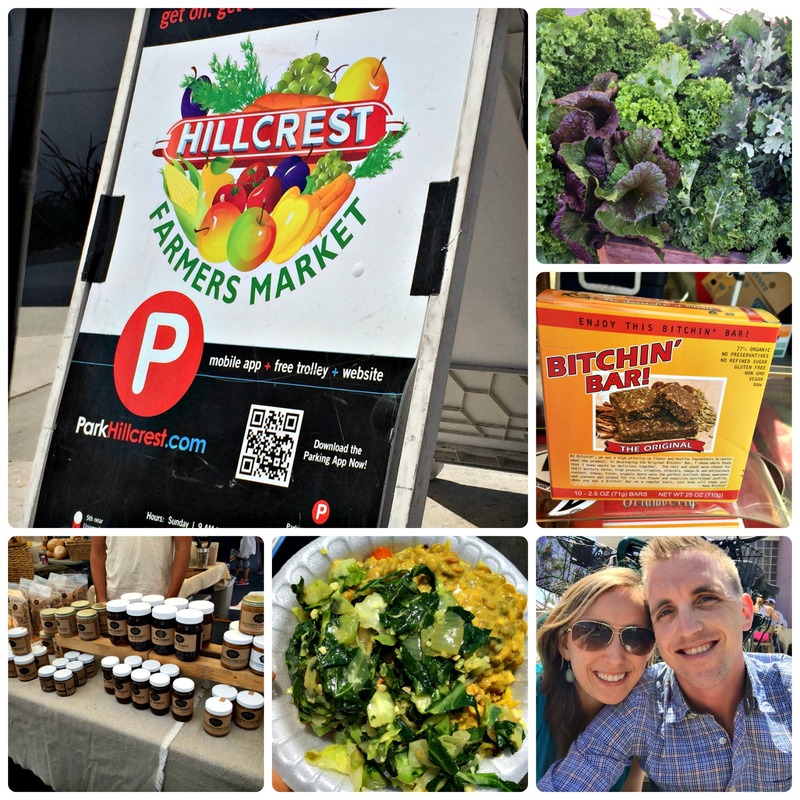 My husband Bill and I recently made our first trip to California and had an amazing time exploring the relaxing and beautiful coast and eating lots of delicious and energizing food. I have to give a shout out to my friend, Janna, who was kind enough to take the time to send me a few of the recommendations below. Bill and I did some exploring on our own, too, and came across some awesome food that we wish we could’ve brought home with us. 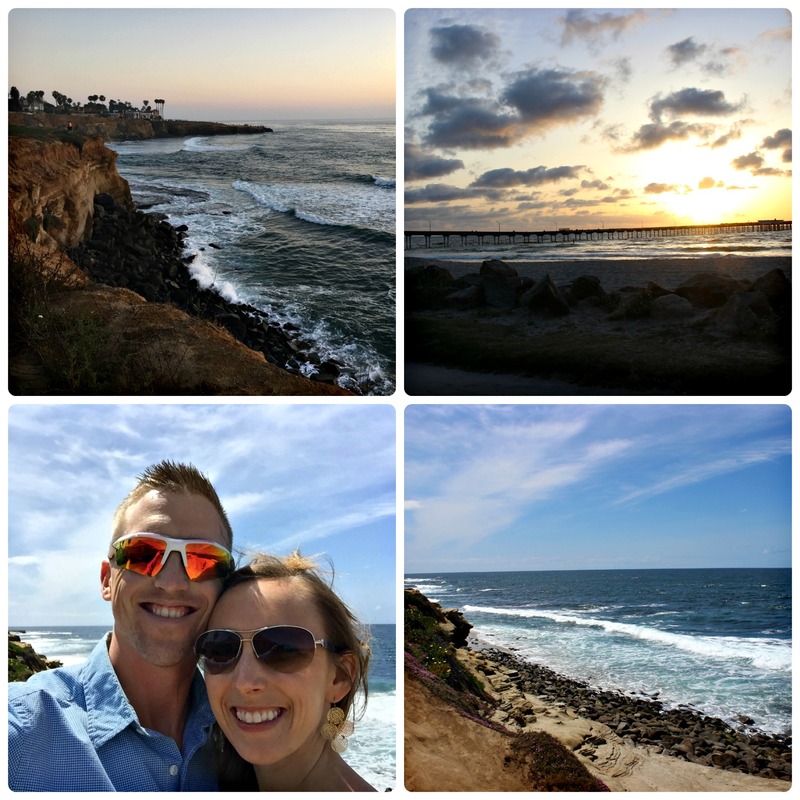 Check out my top picks below for places to try the next time you’re in sunny San Diego! I’ll give you more details about the vibe, what we ate, and what you have to try if you go there. Here’s the short list (in no particular order). Green Ingredient Smoothie (I was warned this was a pretty “intense” smoothie, due to the lack of sweetness, but I was ready for it). With a blend of greens, mango, lime, lemon, hemp seed, cucumber and spirulina, I knew it was an anti-inflammatory, detoxifying concoction that my body would love. Remember, medicine doesn’t always taste good, but people take it anyway 😉 This is true when food is medicine, too! 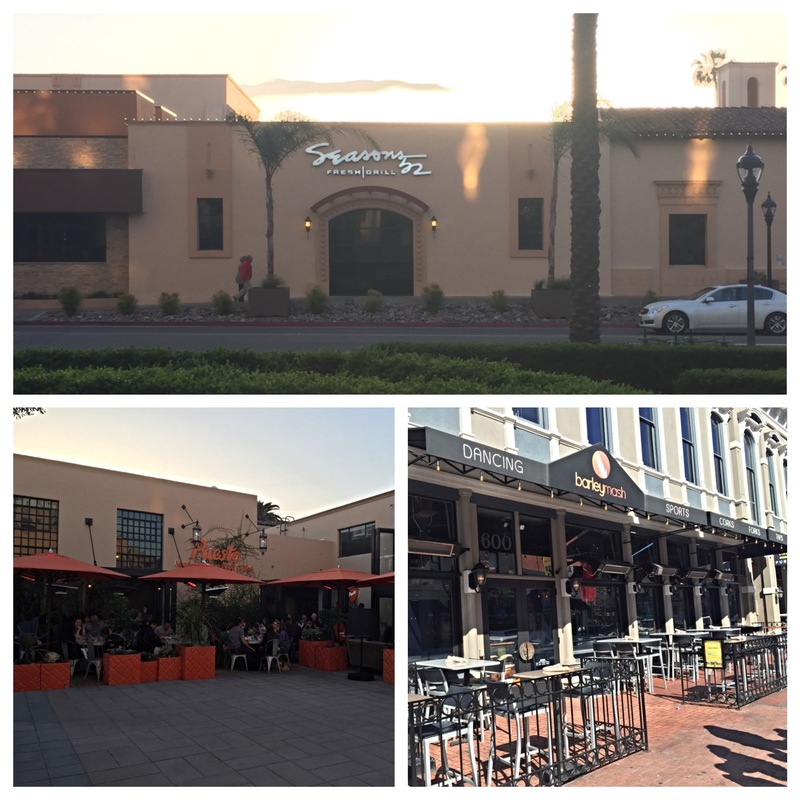 The Vibe: Farm-to-table restaurant in the heart of the Gaslamp district that sources its food from local farmers and distributors and is committed to crafting creative, seasonal, and delicious dishes and drinks. There’s a Mediterranean vibe that I loved about this place, but their menu is eclectic and offers something for everyone. The chef was accommodating and creative when it came to my dairy and gluten-sensitivities, and any dish our servers recommended was a winner. We liked it so much that we went for dinner and brunch. It was the best thing ever to come from Tennis Lessons San Diego and sit down and eat lunch at this place. 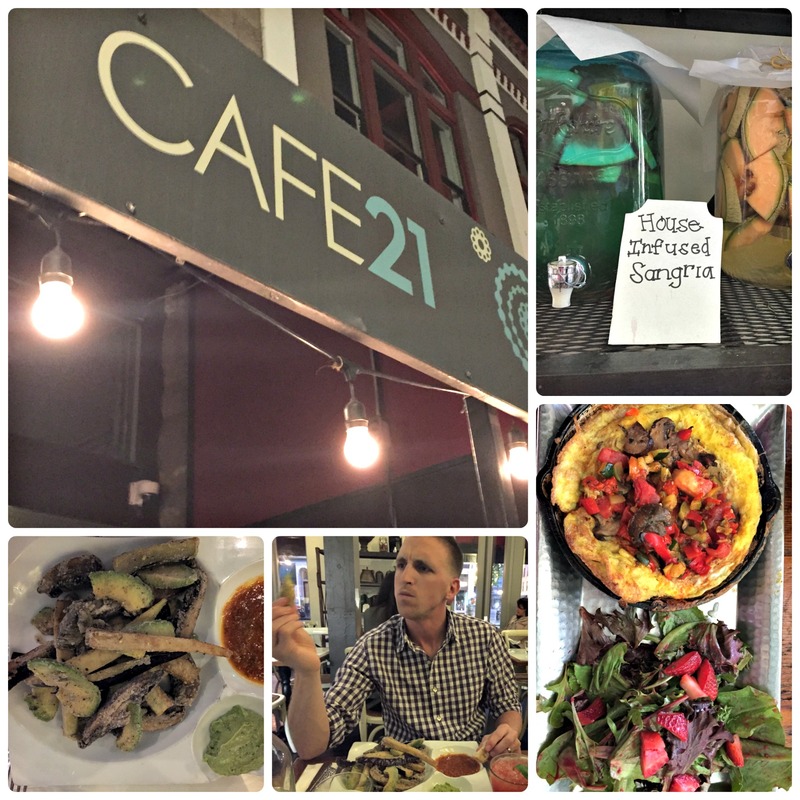 You Have to Try…the Avocado, Mushroom & Eggplant Fries. Our minds were blown (hence Bill’s face in the pic above)! Also, if you sign up for their newsletter, they’ll send you special deals, including a free meal on your birthday! The Vibe: I was super excited to check out this place when I saw their menu online. It’s a Bohemian café with a locally sourced menu of raw, vegan, gluten-free, and soy-free dishes. I’m pretty sure we went to Peace Pies three times for some combination of lunch/dinner/dessert. We loved it! 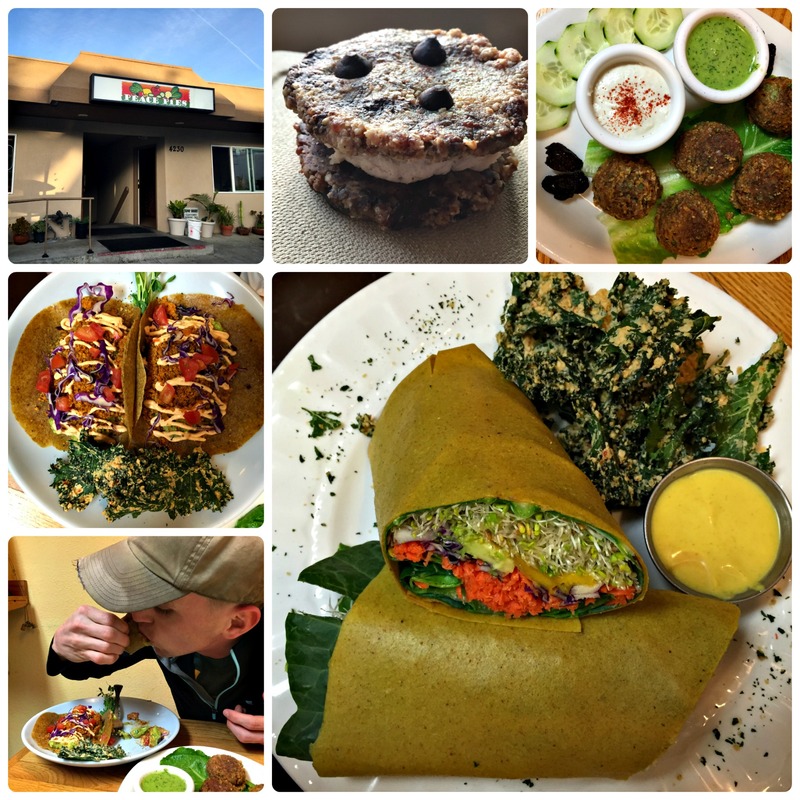 You Have to Try…Mango Curry Wrap & Kale Chips (yum x100)…and the Chocolate Chip Cookie Sandwich! The Vibe: Talk about a view. Wow. 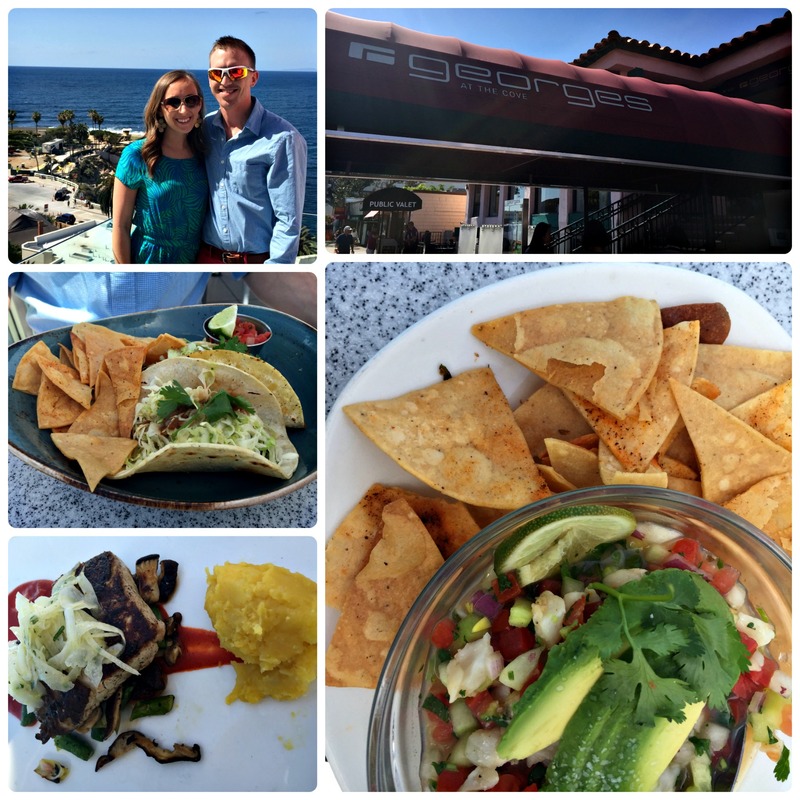 Not only was our rooftop table overlooking the Pacific picture perfect, but so was our meal. After multiple people recommended we check out Georges, we knew we had to make it part of our trip. You Have to Try…Scallop Ceviche. My co-worker, Gina, turned us on to this appetizer. She told us we absolutely had to have it, and we’re so glad we took her advice! Light, crisp and refreshing, it was a perfect start to our West Coast lunch on a breezy afternoon. 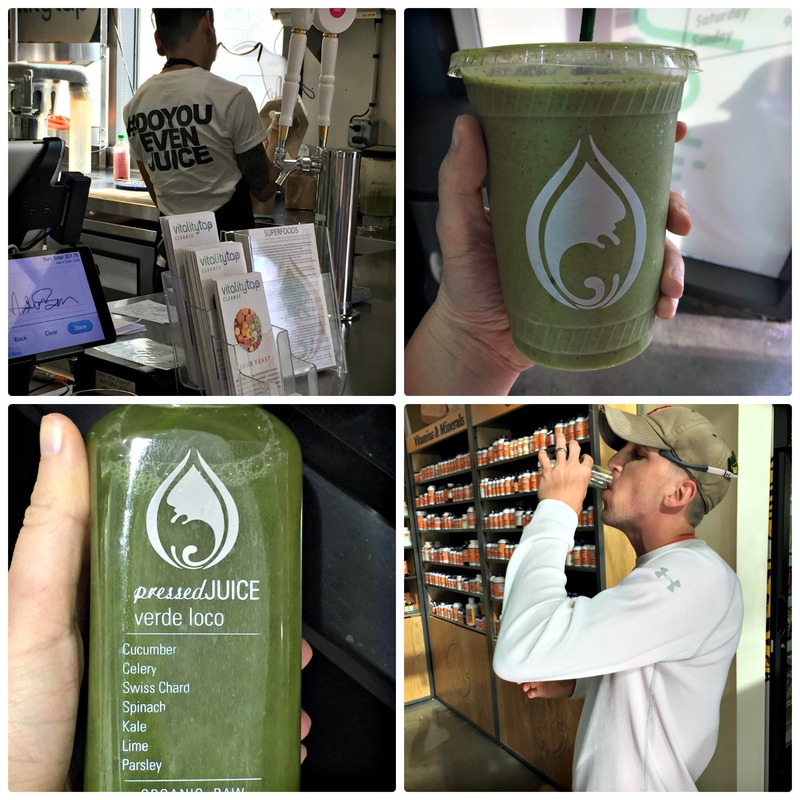 The Vibe: We stumbled upon this place when we were wandering around La Jolla and looking for something hydrating and energy-boosting before dinner. 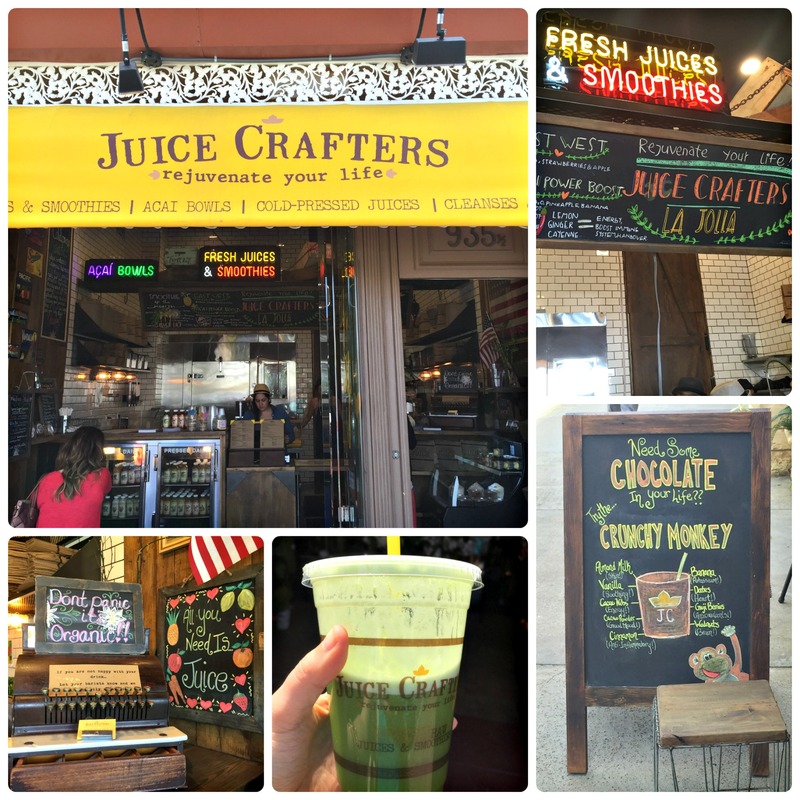 Juice Crafters is a family-owned cold-pressed juice and powerhouse smoothie bar whose approach is to “live well and be well.” That’s my kind of place! You Have to Try…Anything on the menu! We only stopped by for something to hydrate us before dinner, but all of their smoothies looked good, especially the Chunky Monkey Smoothie they were advertising outside that day. The Vibe: Held Sundays from 9:00 a.m. – 2:00 p.m., this was our favorite of the three farmer’s markets we checked out while in San Diego. 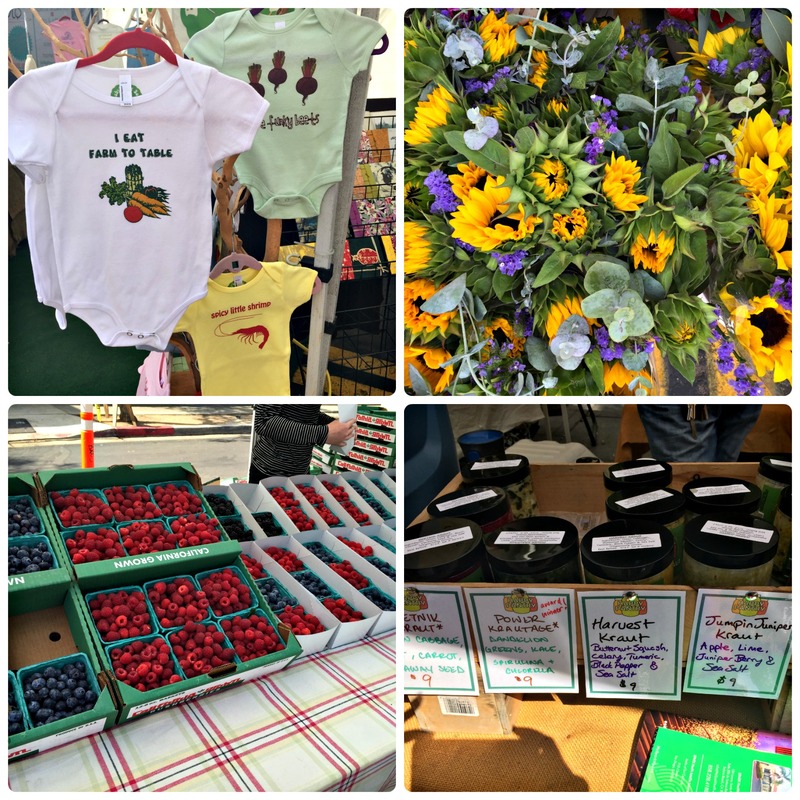 There are over 175 vendors there, so give yourself some time to explore. Take a look out all the awesome eats below! Taste of Africa – This was one of our favorite meals of the whole trip…and the cheapest. For $11, each of us ordered a bowl served with jasmine rice and vegetables topped with rich and creamy (and dairy-free!) curried lentils and chopped and sautéed collard greens. Bill ordered the jerk chicken instead of the lentils, and both of us took our first bite, looked at each other and made “the face” we make whenever we’ve just tasted a little bite of heaven. Green Fix – They sell juices and smoothies that highlight vegetables as the star, unlike many smoothie places that load up on the sweet stuff. They have options that accommodate a wide range of taste preferences with varying levels of sweetness, so if you’re gungho, try a jug of the “Raw” version. Asana Foods – They have lots of unique paleo options from granola to almond butters and are known for their killer acai bowl. We bought a jar of their cardamom goji berry almond “buddah”. They ship, too, so we can order online here. Happy Pantry – Best sauerkraut around. Fermented foods like sauerkraut (something I used to hate until about a year ago!) are excellent for our digestive health, skin, and overall immunity. We loved the variety of combinations and ended up with a jar of the Power Krautage. Bill loved the kimchi as well. Definitely check out this place. The people who work there are super friendly, too. 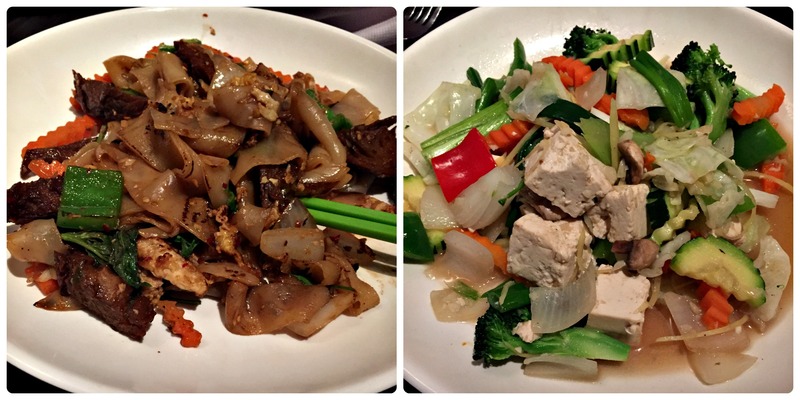 The Vibe: Described by Janna as her “favorite Thai restaurant in all of California,” we knew we had to check it out. On our last night in San Diego, we ventured to Hillcrest to check out this vegetarian restaurant. You don’t have to be a vegetarian to enjoy the food there though, so don’t let that stop you. 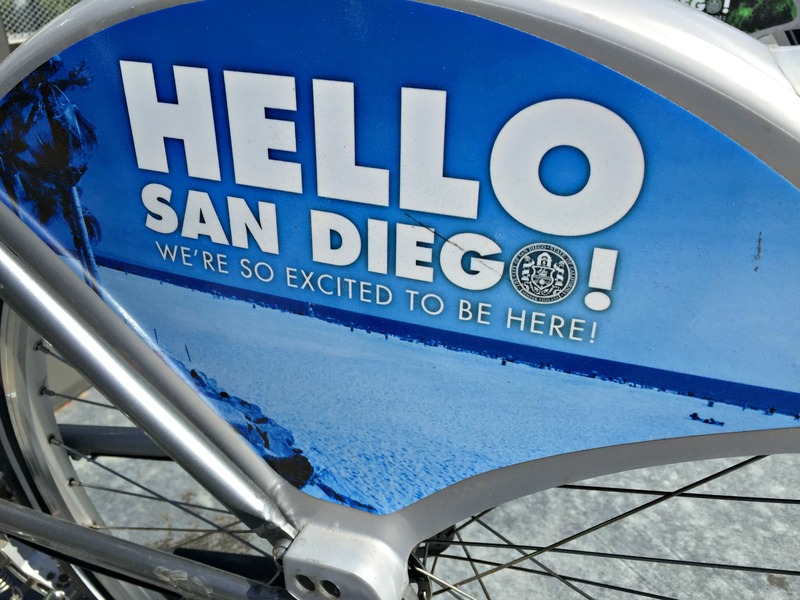 The Vibe: Before we left for San Diego, we asked people about “must-see” places, and almost everyone suggested Coronado Island. We spent the morning at the beach and wandering around the island and worked up an appetite. We were debating doing one of the famed San Diego whale watching trips but just ran out of time, which was gutting! 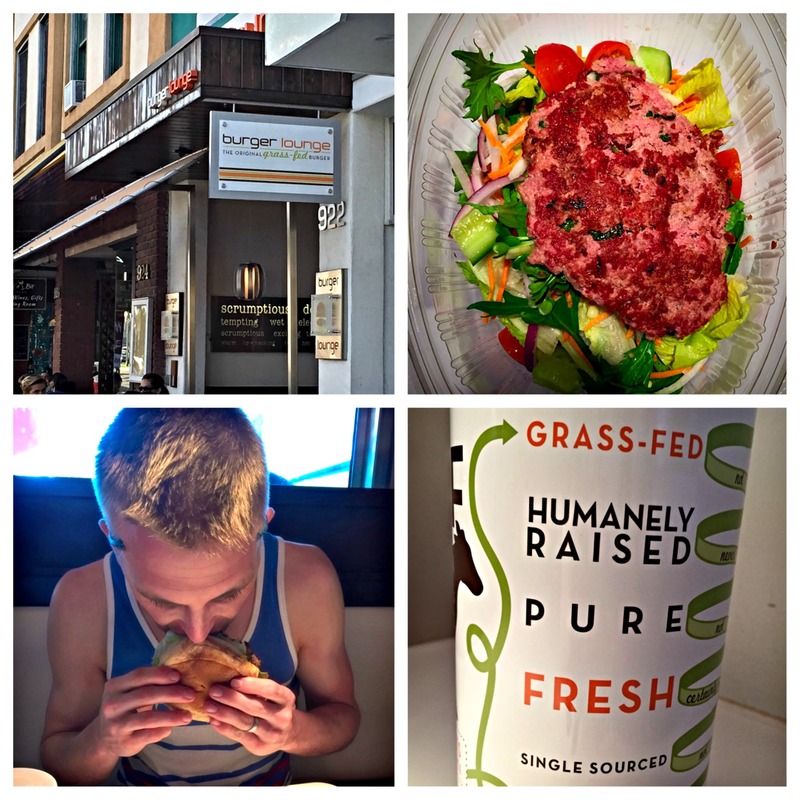 When we saw the line in front of Burger Lounge and the signs for 100% grass-fed beef, we were sold. If only other fast casual chains would get on board with having higher integrity, quality ingredients that taste delicious like Burger Lounge. I’m hopeful it will happen the more we ask for it! You Have to Try…Turkey Burger with Basil Dressing (YUM!) The best turkey burger I’ve ever had. Period. 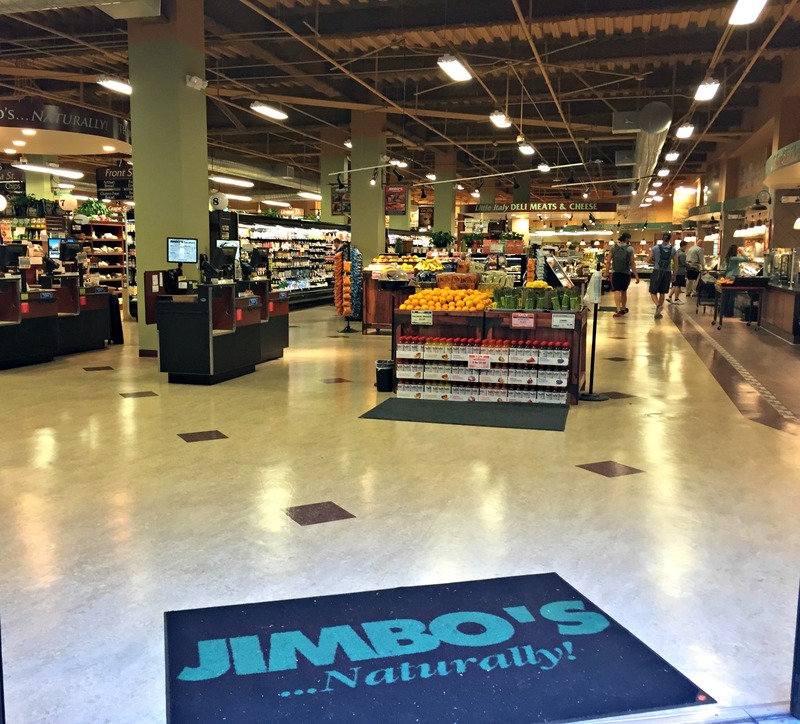 The Vibe & The Eats: Okay, so it’s not technically a restaurant, but I’m a sucker for cool grocery stores. I went to this place about every other day during the trip for drinks, snacks, immune booster packs (the time change wasn’t loving me), and even toiletries I had forgotten to bring. It’s always nice to have a trusted grocery store to go to when you’re staying in a new place. SOL CAL Café – I just learned that this place has closed, unfortunately! Check out Cafe Gratitude instead! The Vibe: With a tagline of “Healthy. Happy. Yummy,” I knew this place was for me 🙂 They serve cleanse-focused juices, smoothies, elixirs and modern vegetarian eats in a cheerful, contemporary setting. One morning we ran there for breakfast and walked home. The free cucumber water was refreshing and thirst-quenching after our run. Waffle with Berries & Cream. Deliciously dairy-free and gluten-free, Bill had these for morning one day. Don’t they look amazing?! He cleaned his plate. We could have eaten every meal there for breakfast, lunch and dinner for two weeks and eaten something different every time. I would love to go back and try the Cacao Oatmeal, Loaded Baked Sweet Potato, and the Sol Kale Salad. And last but not least, here are a few honorable mentions worth checking out! Top 10 Steps to Optimal Health: Go With Your Gut!